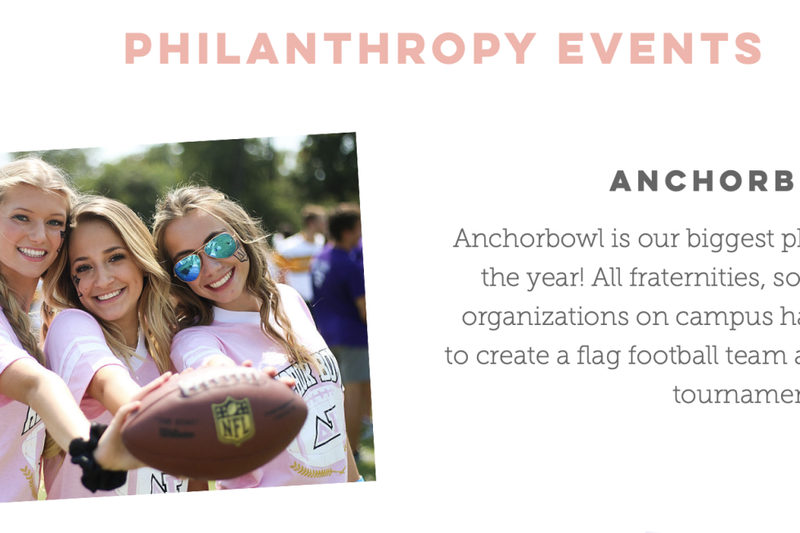 Delta Gamma's biggest fundraising event of year, Anchor Bowl, benefits Service for Sight and the Delta Gamma Foundation to bring more funding and services for those who are visually impaired. The event would take around 4 hours and is similar to a flag football game played by brackets of teams that would compete for the title of Anchor Bowl champions. Being that is is a fundraising event, the food and drink provided would be based all on donations and the budget we have is not outrageous by any means.